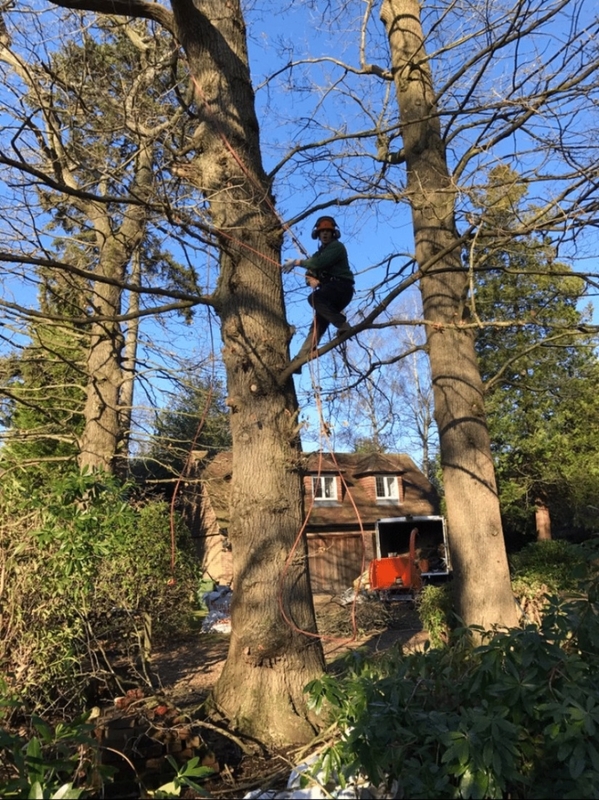 Do you require the help of a professional tree surgeon or landscaping team in Reigate? 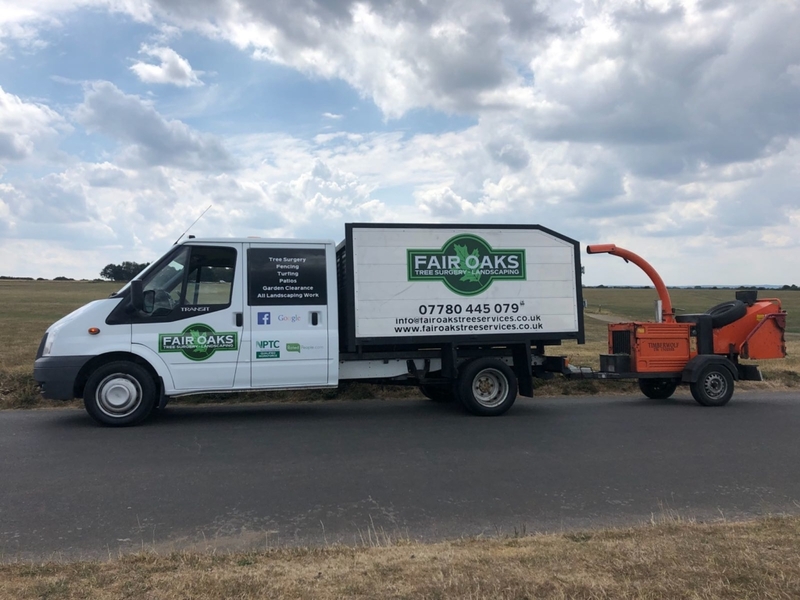 Fair Oaks Tree Services is an established company running in Reigate and Brockham and the surrounding areas of Surrey and South London, offering a wide variety of tree and landscaping services to both the domestic and the commercial markets. 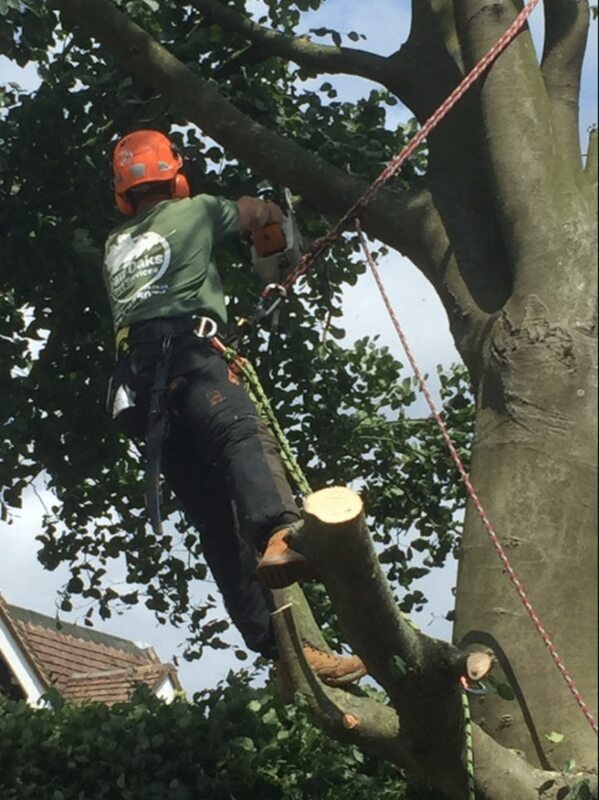 Covering all aspects of tree surgery, we offer a professional, local and specialist service. 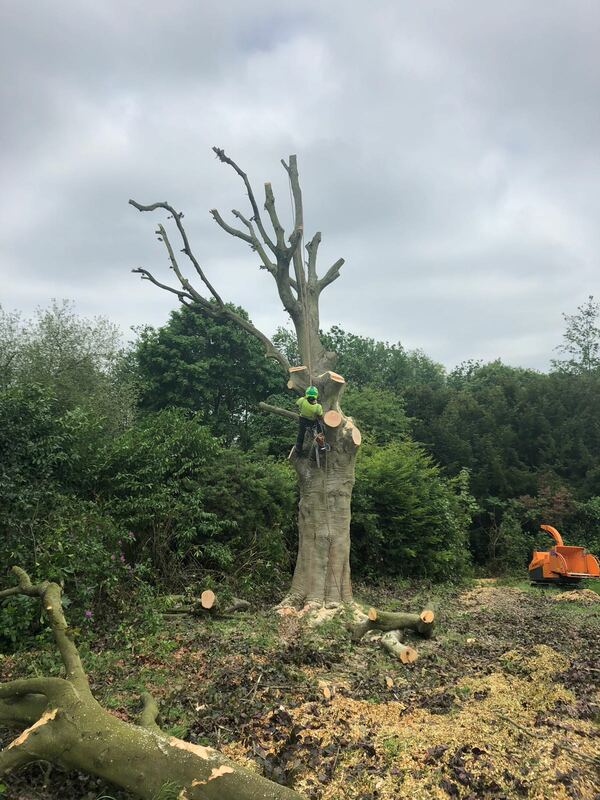 Our arborists are NPTC-qualified and we are fully insured, with public liability insurance worth £5million, to give our customers complete peace of mind. Safety remains our number one priority, so we use all the latest techniques and equipment to ensure all work is carried out in controlled way. Arboriculture is defined as the cultivation, management and study of individual trees, shrubs, vines and other perennial woody plants. Its practise involves techniques such as cutting, planting, training, fertilisation, shaping, pruning, pest and pathogen control and removal. We have built up an excellent reputation for a professional and safe operation and competitive prices. 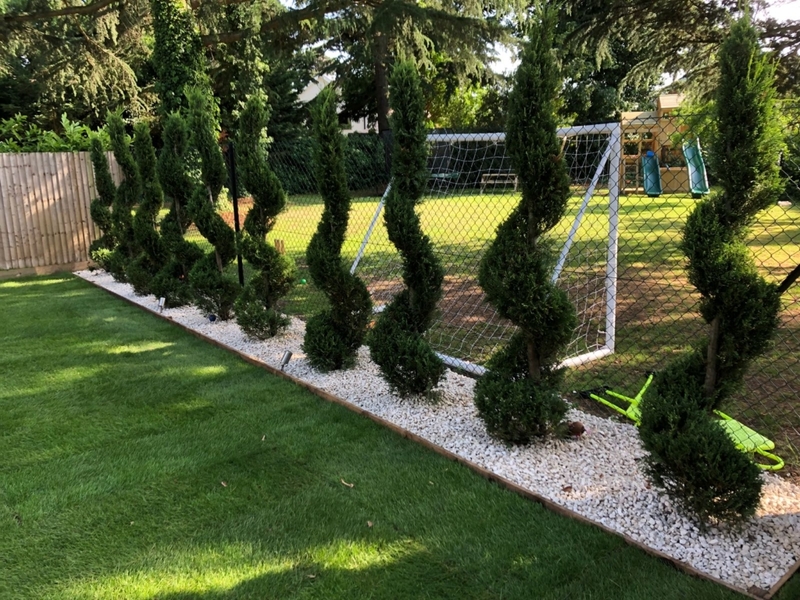 We provide a wide variety of other services including garden and landscape design, soft and hard landscaping, patio and fencing installations and all types of garden clearances. We aim to keep our prices as competitive possible and can provide clear, written quotes, with no obligation, at any time. We welcome one-off jobs, as well as regular and on-going work. Please call now 07780 445 079 for more information. 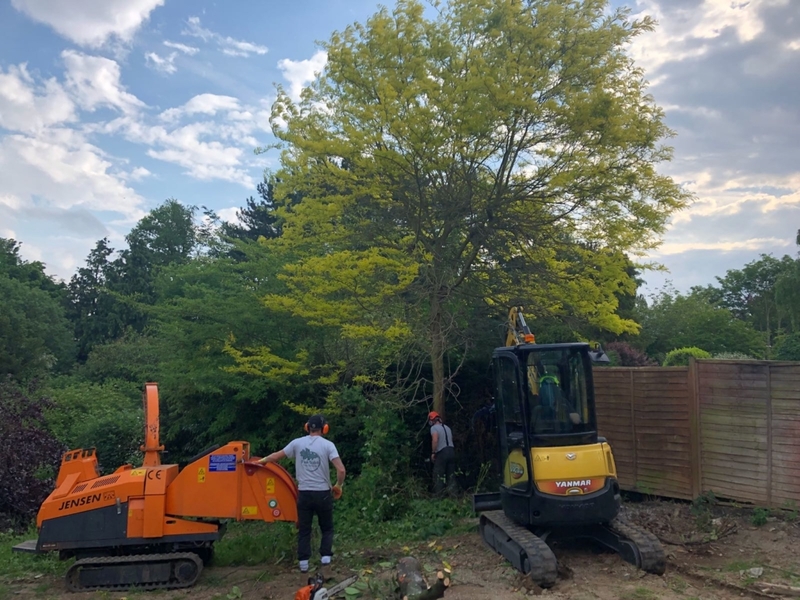 Tree felling or removals: Tree removals can be necessary because of a number of reasons; either tree might be dead or diseased, it may have become unsafe, or simply be growing in an undesirable location. 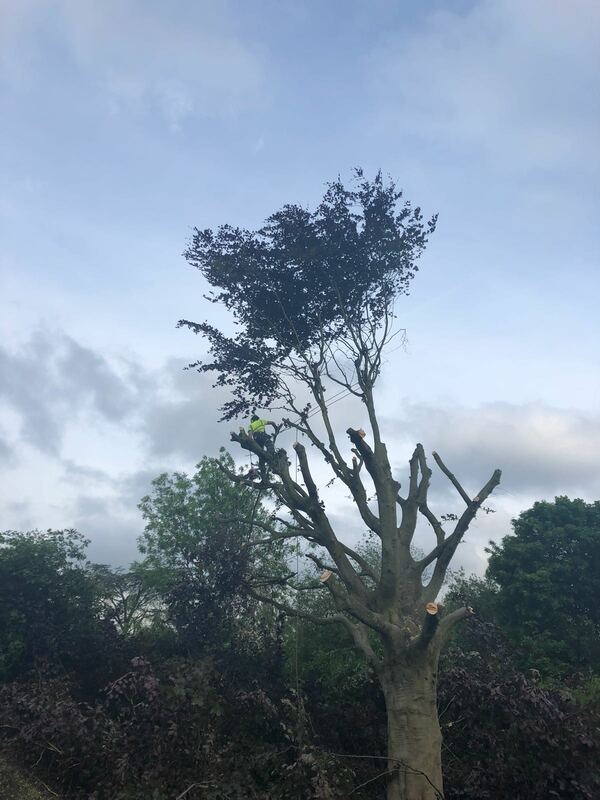 We will either fell the tree as a single unit if there is enough space and no risk to people or property, or do a sectional fell, where the tree is removed in sections. Tree pruning: Aside from keeping trees looking good, tree pruning is critical to their health and longevity. Pruning a young tree will ensure it develops well and removes the likelihood of future hazards. 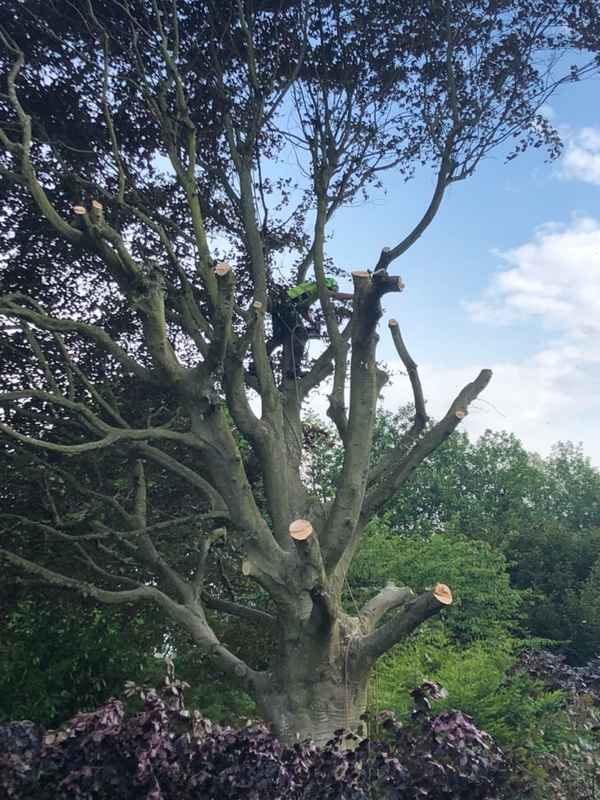 Crown reduction: This is done to reduce the height or size of the canopy, whilst ensuring the tree retains its natural shape. 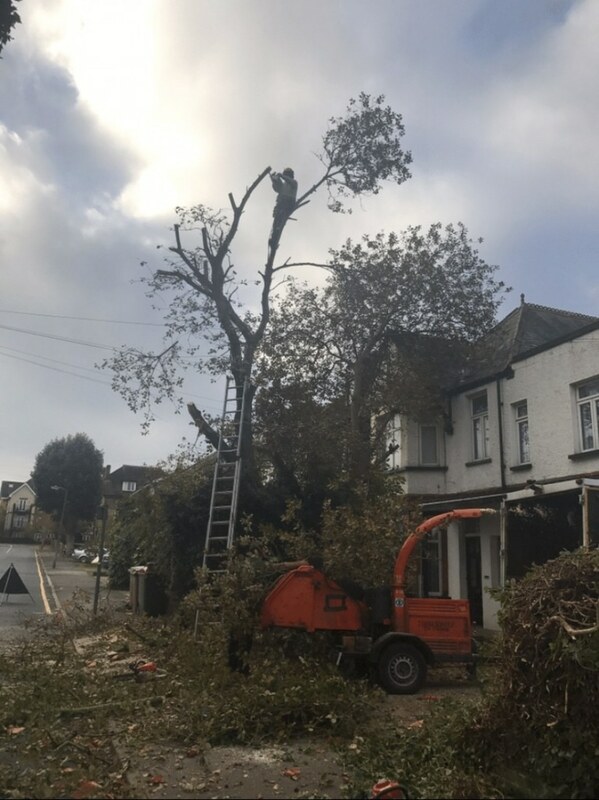 Crown lifting: This involves removing low branches of a tree that might be causing obstructions to vehicles and pedestrians. Hedge trimming: Does your hedge look overgrown or unkempt? Let our team of gardeners keep it looking smart. 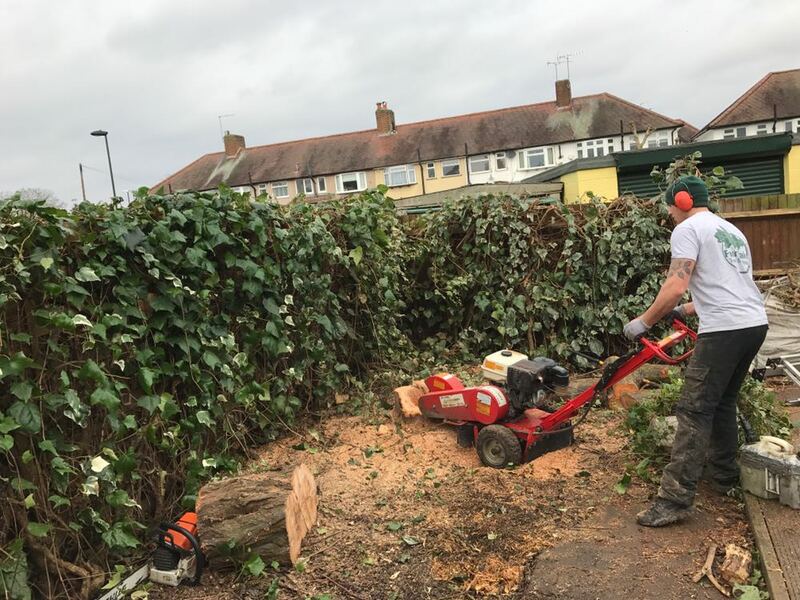 Are you looking for a reliable tree stump grinding removal contractor in your local area? 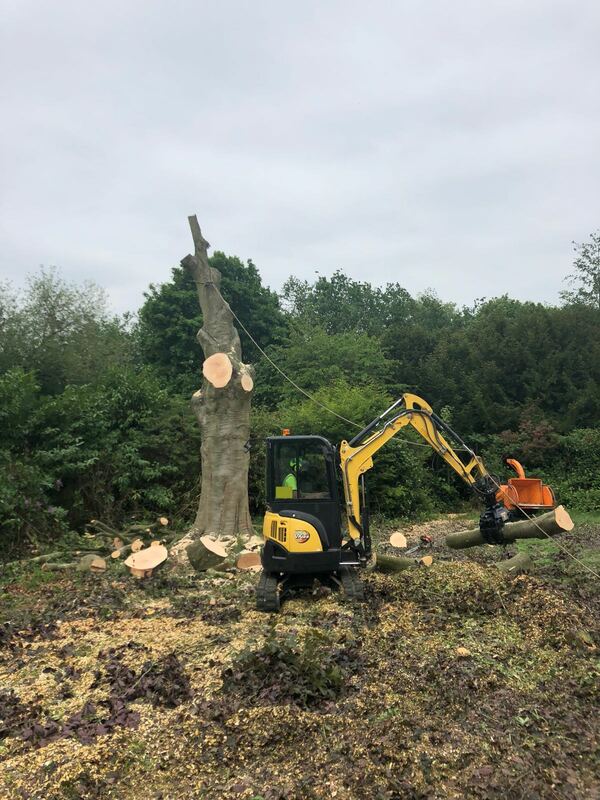 We use the latest modern tree stump grinding machinery, meaning we can get the job done quickly and efficiently to the highest standards. 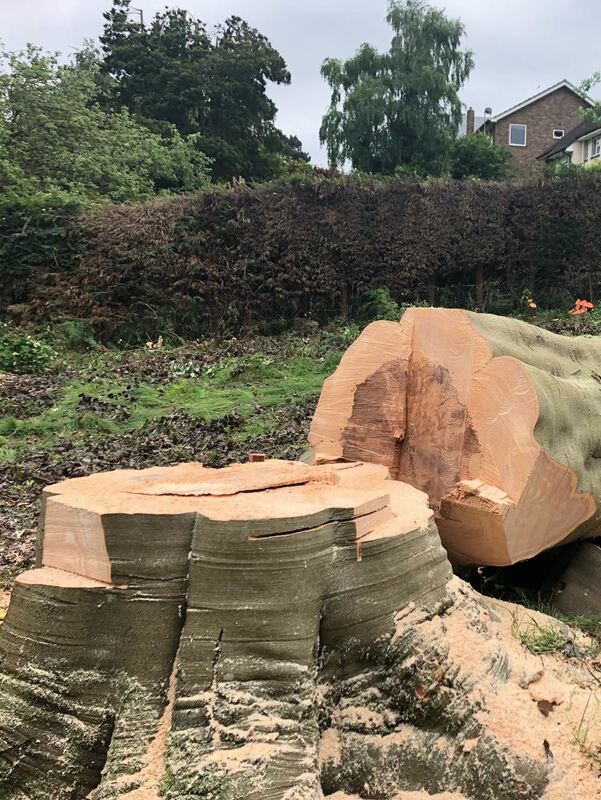 Our stump grinders are big enough to remove even the largest stumps but also small enough to meet our domestic customer needs, where we regularly remove tree stumps from driveways and back gardens. The resulting wood chippings can be used to fill in the hole or we can simply take them away to be recycled. We take pride in all our work and always pay close attention to detail in our work. Call our team on 07780 445079, email info@fairoakservices.co.uk or fill in an online enquiry form to discuss your project requirements.